This year my boyfriend threw me in for a loop when I asked him what he wanted for Valentine's Day. He told me he wanted me to make him something just for him. This was after I had already planned on buying him something!! I searched Pinterest to no end and found nothing that would work for him. He's a very humorous guy so most of it was just too sentimental. After some thought I decided on making him boxers with funny sayings on them. I got the idea from a super cheesy pair of personalized undies at the mall (you don't want to know what they said!). They were $25 and I made them for a lot less given that I already owned a lot of the materials. It was a great last minute Valentine's gift and very easy to do! Step 1: (Not Pictured) Place your piece of scrap cardboard under the area of the boxers you wish to paint. I did the bottom right leg. This prevents the paint from sticking the front of the boxers to the back or vice versa. It also prevents the color from seeping through the fabric while it dries. Step 2: Place the letter template onto the fabric and hold down firmly. I suggest starting your design from the bottom and then working your way up the leg to avoid losing space or getting uneven letters. I'm going to start with my name so my first letter will be a D and use the white color. Make sure to use a small amount of paint! Otherwise your letters won't look too much like letters :)! Step 3: While your name is drying take out your DecoFabric pen. 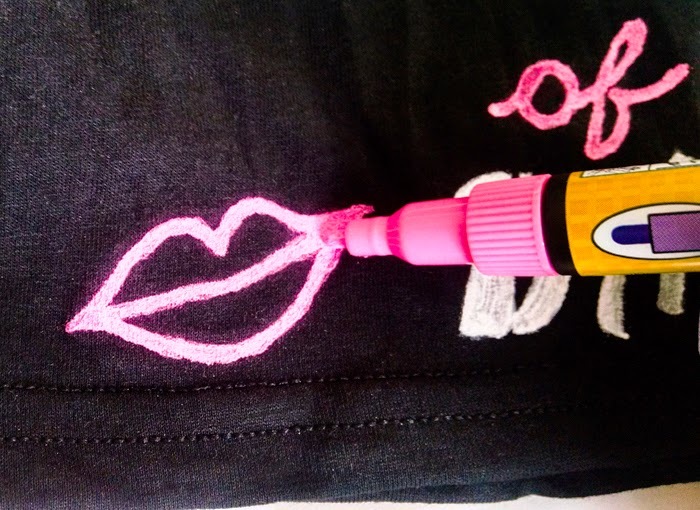 Any fabric pen will do as long as it says it's ideal for dark fabrics. Otherwise you won't see the color very well. Using your artistic skills draw some lips or a heart to the left of your name. Above your name in the center write "of". I chose to do mine in cursive to make things a little different! 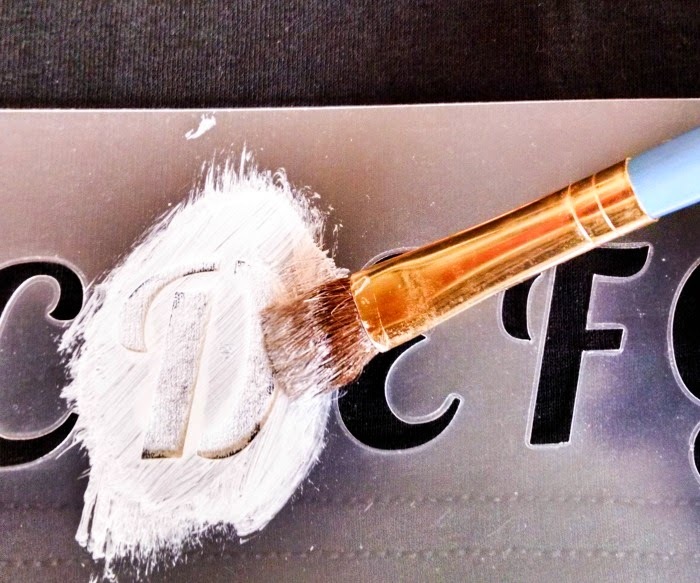 Step 4: Above the "of" you wrote in Step 3, write "Property" with your stencil template. Step 5: Dry flat for 4 hours. Wash inside out after 72 hours of drying. Then you're all done! Gift you boxers with fun candies or food that your boyfriend likes and a card. Your Valentine's Day is now complete! Let me know what funny sayings you'd use for your DIY Boxers. I'd love to hear your ideas! & Always...have fun with it and remember....be cheesy!